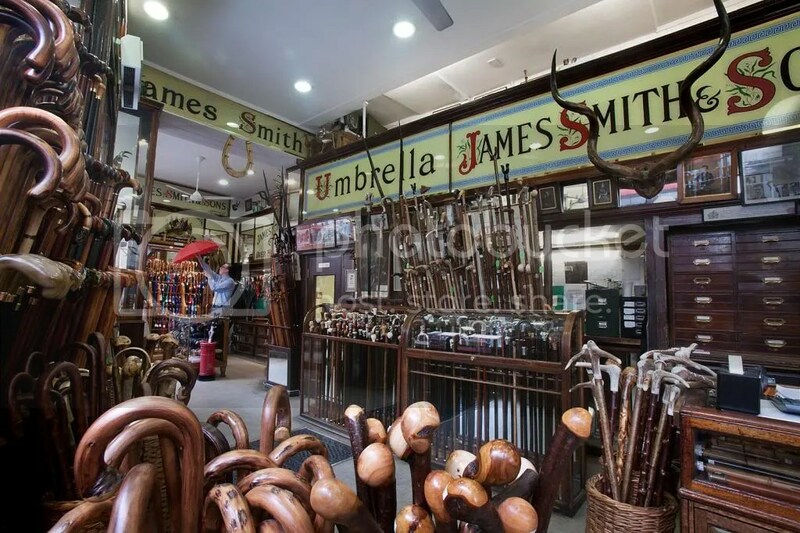 This entry was posted in Architecture, Fashion, History, Journalism, London, Museums, Shops and tagged Holborn, James Smith & Sons, London umbrella shop, New Oxford Street, victorian london. Bookmark the permalink. I do love the fact this place still exists! I know the place well from the outside, although I’ve never been in. This is somewhat surprising as the restoration company that I worked for used to repair their cane seated chairs annually, and as their head chair seater that duty fell to me. They had a set of nice practical Thonet chairs that were very well suited to the shop. I keep promising that I’ll get an umbrella from them but the Swaine Adeney Brigg one my uncle got me is still going strong. Bought for me in the late 80s, and still going strong. Quality appears to last. (And shockingly I’ve not lost it. I’ve lost so much else). I think I would have to pay the owner to just have a cup of coffee with me whilst I absorbed the atmosphere in this great hidden jewel of London. I am sure I would find something I wanted, simply because of it’s level of coolness! I am a descendant of James Smith the eldest son of the original James. I would very much like to trace my history regarding this fascinating shop. My great grandfather whom I never knew moved to Tasmania approx. 1890. As I will be in London in August I would love to speak to a fellow descendant and would appreciate an acknowledgment of this email.